MORE THAN PLEASED - Mark Burns (Sutterton) explanation of how he was going to repair the damage on my car was made in simple understandable language. The final finish was excellent and you would not be able to tell the difference between a damaged panel and an untreated one. Hence my title. I challenged Mark to fix several dents and scratches on my lease vehicle before a collection and inspection. An excellent job and no charges from the leasing company - looking at their charges I estimate I saved 50% on what they would have charged me for the same repairs! Fitted me in quickly and all done in the same time frame ... Read more quoted, so a great job. I have already recommended to friends and will definitely be using again soon (in the nicest way - hopefully not too soon!). An excellent job at a fair price! Our Mazda had two long scratches on the Mica paint finish. ChipsAway removed both with absolutely no sign of the damage, collected and delivered the car in the same day! The price charged was one third the price quoted by a local body shop! An excellent job, carried out quickly and conveniently, at ... Read more a fair price and at a time convenient to me. Cannot recommend them highly enough! Good service but a little disappointed that the paint colour didn’t match exactly. I asked but was told it’s because it’s new paint! Humm. Sorry but wouldn’t recommend. Helpful and reliable. I used Mark Burns in Lincolnshire and can recommend him for both his customer service and work. The car looks like new and Mark organised everything to minimise any inconvenience to me. I contacted Mark Burns over the holidays ref damage to my car, Mark came back with a quote, which I was happy with, I asked Mark if he could collect my car and hold onto it till I came back, which he did, you don’t normally get this kind of service, but Mark went out of his way to help me, I would like to say a thank you Mark for ... Read more the repair and holding on to my car till I came back also for a great service, I will be coming back for repair to my other car, I would like to recommend Mark Burns @ ChipsAway for a great service. Excellent Service - Friendly. Courteous. Efficient. Professional. What more can you want? Mark is a very friendly guy that completed my paint job to cover up a scratch in a speedy and professional manner. I waited whilst they did the repair at their base. Hadn't finished reading the 2nd magazine and the job was done. Definitely ... Read more would recommend and if I have call to have a scratch / paint job done then would use again. Initial contact with ChipsAway was easy and straightforward. The repair was undertaken by Richard Wainwright who arrived promptly at an agreed time and carried out a very professional repair to 'as new' factory standards. Paint matching was spot on. 'Can't fault Richard on his friendly character or his expertise. 'Without a second ... Read more thought, I would be happy to recommend him or call on his services again should the need arise. Friendly affordable 5 Star Service! Mark was very reassuring and confident in his work. I have already recommended him to family. Thank you very much Mark - perfect job. I had a minor scrape and some imperfections on the front bumper of my performance blue focus st. They matched it up and repaired it perfectly. It looks immaculate now. Repaired at the Sutterton Branch 10/10 would recommend. An excellent job done and a fair price. Fantastic job, car looks like new - I won't use anybody else. Mark Burns at Sutterton did work on my Jaguar XF and Jaguar XK8 earlier this year, part bodywork repairs but mainly 3 stage polishing. Excellent work, both cars looked like they had just come out of the showroom. Happy to recommend Mark and will go to him again when further work is required. 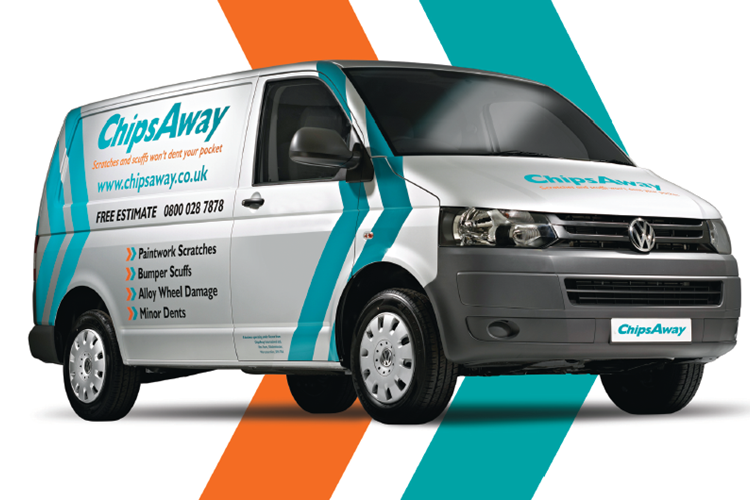 Chips away gets a 5star review because my experience with them was first class in every way including a first class job on my vehicle I would recommend this company to anyone. Great service and work. Wouldn't go anywhere else. Very highly recommended. Arrived on time, straight to work only took a few hours and i was able to drive the car that afternoon, work done looks as good as new.